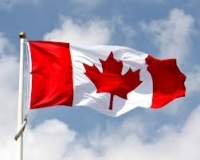 According to Statistics Canada, as of 1st July, 2013, Canada’s population is estimated to be 35,158,300. An in-depth study of this population statistics bring out a lot more facts. The first highlight is that Alberta’s population raised a record 3.4% (136,335) over the last four quarters. This gain emanated from a remarkable net inflow of immigrants from foreign countries totaling 52,551 which is 1/5th of the national total. This shows a natural increase of 31,107 and a net increase of 52,667 immigrants from other provinces. Over the last two years, only Quebec and Ontario have attracted more international migrants than Alberta. This population report’s second highlight is that, a prominent number of people from Quebec moved to other provinces. Indeed from June 2012-June 2013, outflow from Quebec raised to 33,780, which is a record high. The net outflow from the province totaled 9,568, due to the inflow of 24,212 Canadians from elsewhere. This is a five year high for the province. However, even when Quebec lost a record number of people to other provinces (mostly Ontario), from outside Canada, 53,934 individuals moved to the province of Quebec. With a raise of 26,900 people through natural population and including the increase in foreign migrants, the province’s population has raised by 71,270 from June 2012 to June 2013. Finally, during June 2012-June 2013, a record 91,017 Ontarians left the province even though Ontario added 110,000 jobs in the period. This emigration was partially offset by the inflow of 69,694 Canadians from other provinces. Still, Ontario lost a total of 21,323 people to other provinces between June2012-June 2013. Since 2006, this was the 2nd largest net interprovincial emigration. As with Quebec, the impact of the critical net outflow of people from Ontario to other provinces was more than offset by a considerable net Immigration of Foreign Immigrants over 98,616. In the past 5 years, approximately one in every three international migrants landed in Ontario. Even with the above average net migration of 21,323 people to other provinces, this very solid gain in foreign immigrants along with a natural raise of 48,707 caused Ontario’s population to increase by 126,000 in the year ending June 2013.